The City of Phoenix Green Business Leader Program recognizes and promotes businesses that volunteer to operate in a more environmentally responsible manner through sustainable actions. Businesses receive many benefits to be a part of the program. This program started through the Reimagine Phoenix initiative, which is the city's public goal to increase its waste diversion rate to 40 percent by 2020. The program also assists the city in reaching its eight overarching 2050 Environmental Sustainability goals. There are currently 65 Green Businesses in Phoenix! 1. Download the Green Business checklist and mark off what actions your business is doing. 2. Submit your completed Green Business checklist. 3. A Zero Waste Specialist will reach out and schedule a brief walk-through at your business to confirm all of your checked items. 4. 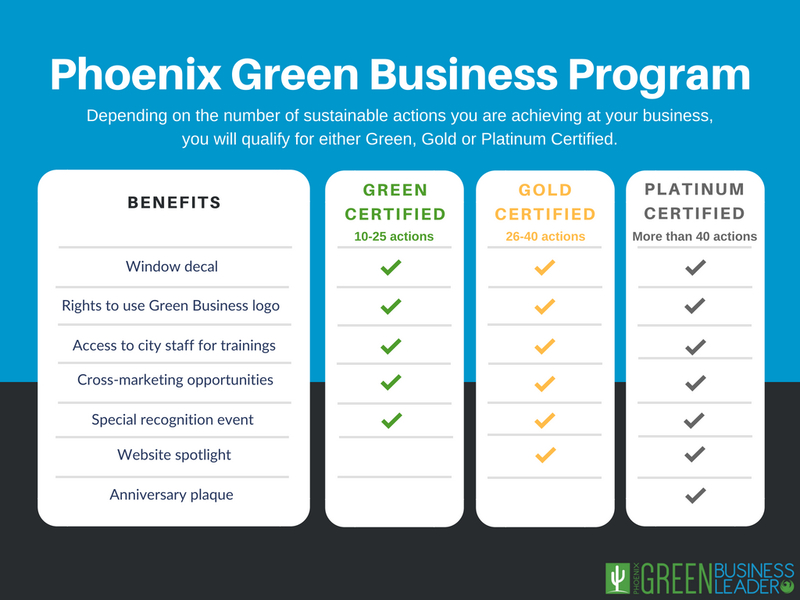 If all prerequisites are met, then your business will become a Phoenix Green Business! 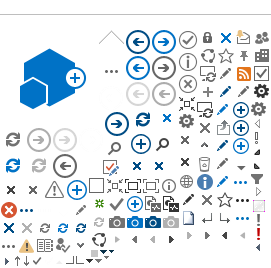 The program has three levels of certification. Businesses achieve higher certifications by achieving more sustainable actions. Higher certifications also have more benefits. As an added benefit to the Green Business program, the Phoenix Water Department provides free water efficiency check-ups, to help identify potential water conservation opportunities in the workplace. Check out the Water Department's water smart tip sheets. This spot is reserved for businesses certified as Gold or Platinum. This could be you! Strive for more than 26 sustainable actions to achieve Gold Certification, and more than 40 actions for Platinum Certification.